Most of us probably think that childhood is a time when children are carefree, having no worries or responsibilities; yet, studies tell us that many children experience extreme stress and have similar symptoms as those of adults. Like adults, children often have bad feelings and have difficulty handling their stress. Unlike adults, though, children do not have the means or the skills to understand or manage their stress in appropriate ways. Children must depend upon us to help them. As parents and caregivers we need to recognize when children are feeling stressed and help them feel better. 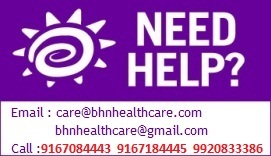 We can also help by decreasing the discomfort for the child and, in some instances, by assisting a child or family in dealing with the situation that caused the stress. Stress is the body's reaction to a physical or emotional situation that causes imbalance in a person's life. Occasional stress is normal and predictable in our daily lives. Normal stress serves to present us with challenges for greater learning and opportunity, such as the stress that we may experience before meeting new people. On the other hand, constant stress can cause us many problems and, unless handled, can add to the stress of another situation. Children react in different ways to stress. Some children become ill. Some may become withdrawn and nervous while others show anger and demand attention. In some instances, development is affected. There are also some children who do not seem bothered by stress. We often call these children resilient. Stress becomes a problem when the ordinary stress of daily life becomes overwhelming. When under stress, there is an increase in heart rate, breathing is faster, and muscles tense up. When there are several stressors, the level and duration of the stress are greater. Both negative and positive events can cause stress. Family events are often a source of stress for children. The break up of a family is a negative event that can cause stress in children. Events such as physical abuse, separation, rejection, and fights are some other negative sources of stress. Other events such as a parent losing a job, or the death of a parent, grandparent, or sibling can create stress. Positive events that cause stress in children include birthday parties, new pets, and the birth of new siblings. Everyday family obligations, events, and routines can create stress and tension for the young child, as in the case of an active family that may be so busy that the needs of a young child may be overlooked. Parents and caregivers need to be aware of what is happening in a child's life that may affect the child's behavior. 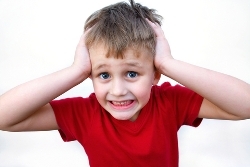 A sudden change in a child¼s behavior may be related to stress. Caregivers can talk with the parents about what is going on in the home. Common signs of stress are listed below. These signs also may indicate that the child is experiencing problems other than stress. How do you identify stress from other problems that the child may be experiencing? First, parents and other caregivers must observe children's behavior. Children who isolate themselves from other children may be feeling stress. Also, the child who is easily agitated, irritable, lethargic, lazy, or aggressive may also suffer from stress. It is also important to watch the child for changes in habits or behavior. For example, a friendly, quiet child who suddenly has been fighting and arguing with his friends may be suffering from stress. As a caregiver, you notice normal behavior among children and you will also be aware when there are changes in children's behavior. How should you react when a child changes his or her normal behavior? Accepting the child's behavior is important. For example, it is useless to scold a child for thumb sucking. Scolding will not stop the behavior. Also, forcing the child to eat does not result in the child eating. When you notice unusual behavior, care for the child, remain close to the child, and comfort the child. Reassure the child that you care about him or her. A first step in decreasing a child's stress is to be knowledgeable and aware of the symptoms of stress. These symptoms or warning signs include bed-wetting, upset stomach, irritability, nightmares, lying, withdrawal from activity, change in activity level, poor sleep or eating habits, teeth grinding, or decline in school achievement. Recognizing children's stress symptoms is not easy. It is very important to recognize that it is normal for children to exhibit some of these signs at some times in their lives. Adults need to be alert when a child is showing a cluster of these signs or symptoms simultaneously or when no apparent cause can explain why the child may be stressed. In either of these cases, it is a sign that the adults who are involved in the care of children need to intervene. 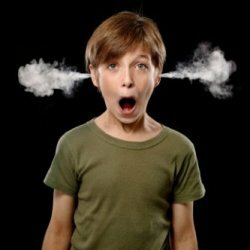 If the child feels that it is impossible to handle the stress, he or she can become angry or aggressive. If the stress becomes too overwhelming for the child, then the child will experience anxiety. If the body remains in a state of anxiety, then physical, social, and emotional damage and deterioration can occur. The age of the child is a factor in recognizing stress. Children often cannot tell us what they feel or they do not have the language to describe the stressful situation. They tend to show the stress through their behavior. When you notice a three-year-old child crying constantly (or more than usual), or an eight-year-old having a temper tantrum, that may be the child's way of alerting you to something or letting you know that too much is happening. Children react differently to stressful events and situations and also have different coping strategies. Children can cope through tears and crying, through tantrums, or by retreating from unpleasant situations. Children who are around supportive adults and caregivers usually develop a variety of coping strategies and are more likely to become more resilient. Many children, however, do not have a supportive environment and do not learn a set of positive management strategies. Children need help in learning to manage and function with the stress they feel. One means to assist children is to acknowledge their feelings. It is important that children understand what they are feeling, that we teach the word "stress" by letting them know that they may feel "butterflies in the stomach," or that their heart may pound. Let children know that it is all right to feel angry, alone, scared, or lonely. Teach children names or words for their feelings and appropriate ways to express them. Show more interest in the child's experience than in the behavior that results. There are times when a child just needs a hug for reassurance. In the case of older children, help them learn to problem solve for themselves and come up with management (coping ) strategies. This builds their independence and mastery of coming up with options, finding solutions, or finding other ways to comfort themselves. For example, if a child repeatedly bullies other children, lies, withdraws, gives up, hurts or blames other children, the adult can ask the child what other ways there are to handle the situation that caused the reaction in the child. Promote a positive environment - Praise children for the acceptable things that they do. The experience of stress and tension can serve to defeat an individual's concept and confidence. Help children see and understand the positive things about themselves and that they are worthwhile persons. Listen without judging the child or the situation; that is, if the child chooses to tell you about the situation that produced the stress. Help the child feel comfortable in expressing feelings. Assist the child in clarifying his or her feelings. You may need to correct any misconceptions that the children may have about themselves or their feelings. Set a good example - Children learn lessons from us, whether these lessons are positive or negative. 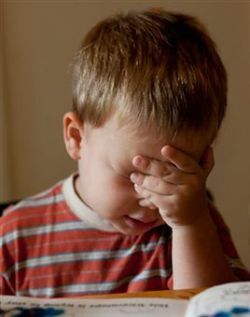 Keep in mind that children are imitators and may cope with stress in the same ways they see adults handle their stress. In some cases, it is appropriate to explain, especially to older children, why something is being done. This explanation can often ease the child's reaction.